A mixed-use building located on Boulder Street, a block from the HighlandBridge, connects downtown Denver to the Highlands. The owner and designer wanted high-end finishes to coordinate with their design for this upscale building as well as providing a durable finish. Colorado Hardscapes worked with Holland Partners and Sprocket to select a decorative concrete product appropriate for the exterior entrance of the leasing office and a high-traffic solution for the interior communal spaces. Colorado Hardscapes placed Silvercliff colored Sandscape with decorative sawcuts for exterior entrance to the leasing office. 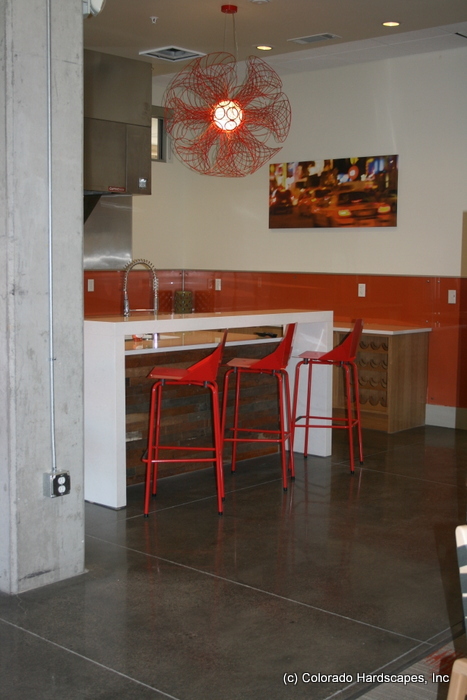 Sprocket chose Bomanite polished concrete for the kitchen, offices, lobby, hallways, and the elevator room. They chose this finish due to its durability for high traffic areas. 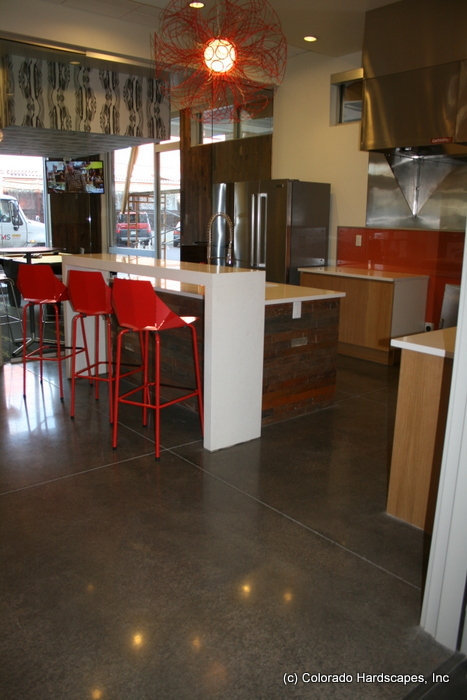 Skillfully polished concrete neutrally colored with rich luminosity and deep undertones to complete the design of the interior space while providing a low maintenance floor which can withstand high traffic conditions. Sandscape concrete complements the exterior entrance and gives a foretaste of the material pallet chosen for the interior.